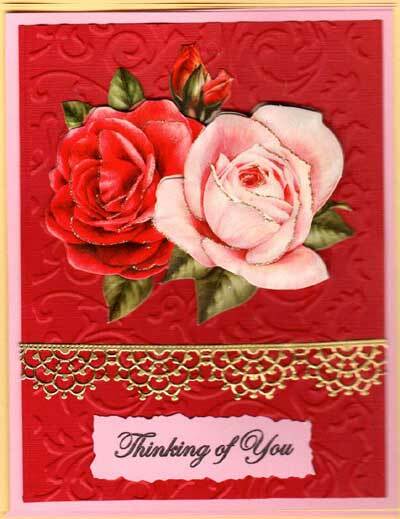 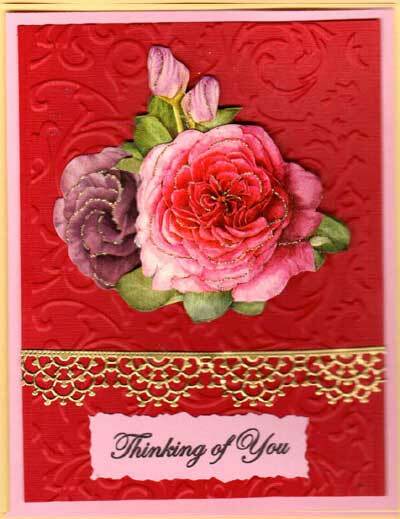 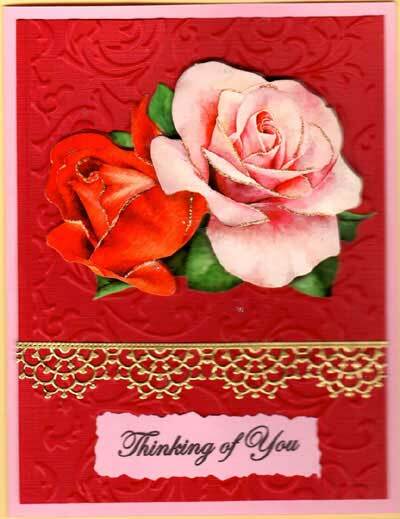 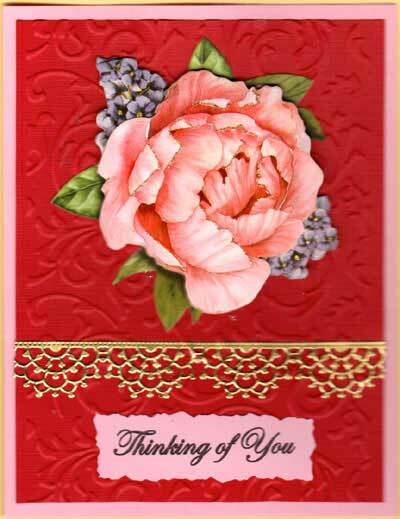 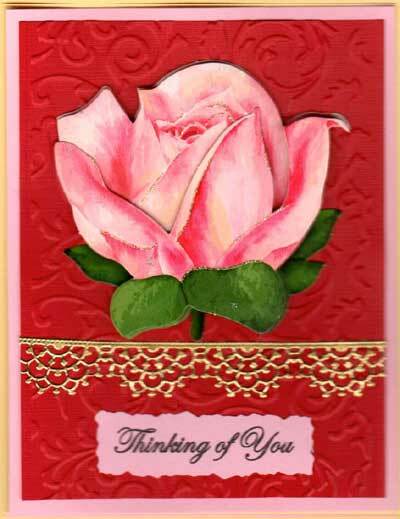 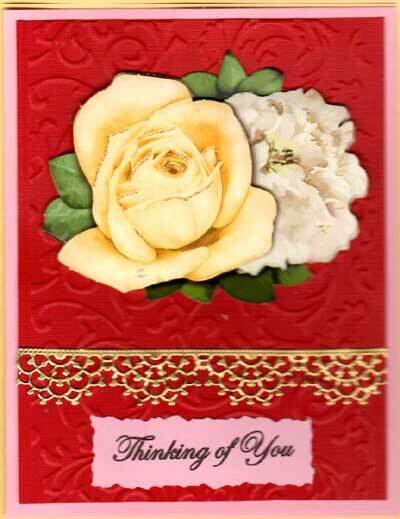 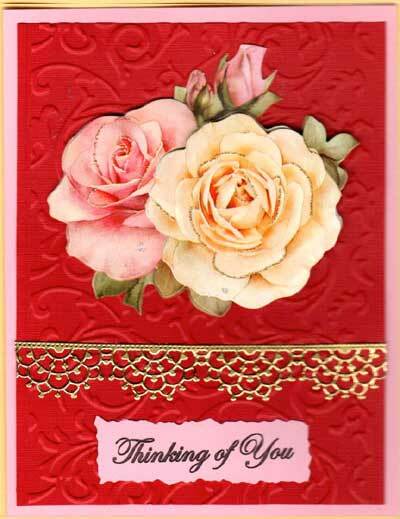 You will LOVE these rich red tapestry and GOLD lace 3-D flower cards! 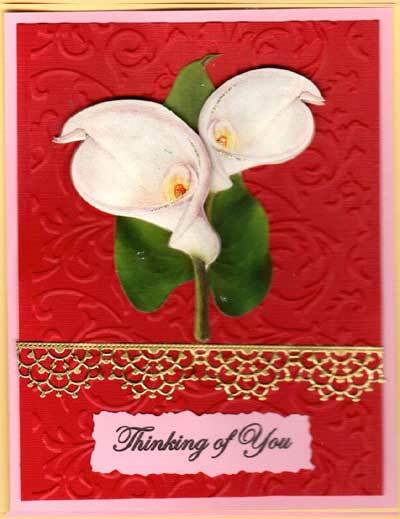 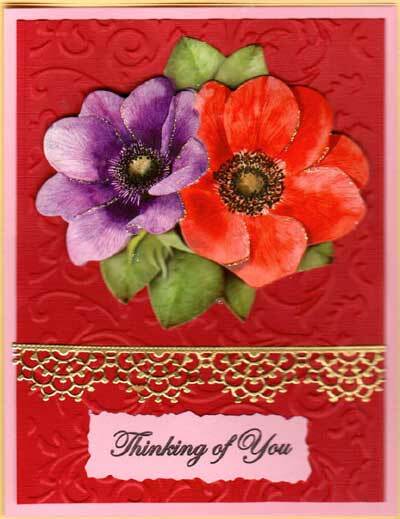 Just layer the 3 pre-cut and pre-glittered flower pieces with foam tape ($2.95) to make impressive Thinking of You cards - so fast and easy! 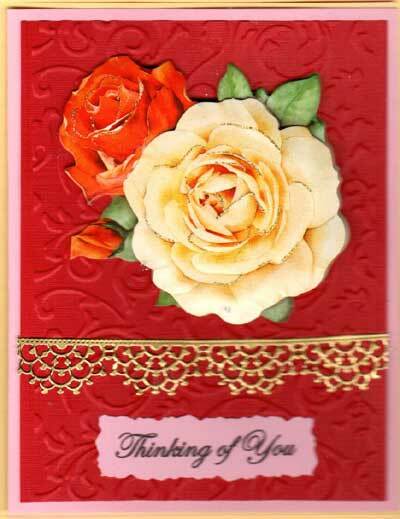 Value priced at only $30.00!